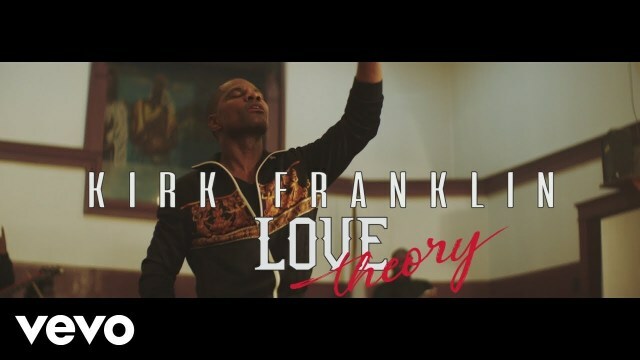 Twelve-time GRAMMY-winning artist, songwriter, and producer, Kirk Franklin, released his new single, “Love Theory”. The song is available via all major digital providers. Additionally, the “Love Theory” music video will premiere on the Kirk Franklin YouTube channel. And beginning Saturday, January 26th the video can be seen on BET Soul and BET Gospel. With an up-tempo R&B melody and classic Kirk Franklin lyrics, “Love Theory” will have listeners feeling inspired and wanting to hit the dance floor. For more than twenty-five years Kirk Franklin has been a trailblazer, writing, producing and performing uplifting music which is loved by Christian and secular audiences alike. His body of work has garnered twelve GRAMMY Awards, 43 Stellar Awards, nine NAACP Image Awards, four Billboard Music Awards, three BET Awards, and an American Music Award, among other honors. Since the release of his last album, the GRAMMY Award-winning Losing My Religion, in 2015, Franklin has been busy touring, cultivating talent through his record label, Fo Yo Soul Recordings, and collaborating with a diverse array of other artists including, Chance the Rapper, Kanye West, Ledisi, Mandisa, Marvin Sapp, Tamela Mann and Tori Kelly. In 2018, he produced Kelly’s entire Hiding Placealbum, for which he recently received his 23rd GRAMMY nomination. Franklin also launched the Exodus Music & Arts Festival in partnership with Live Nation Urban last year. And he will host and headline the 2nd annual Exodus Fest on May 26, 2019 in Irving, TX. The song is available via all major digital providers. 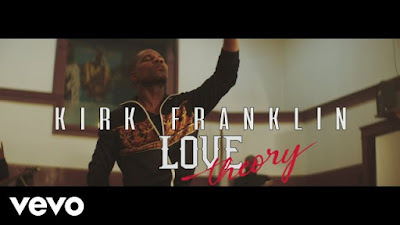 Additionally, the “Love Theory” music video was premiered on the Kirk Franklin YouTube channel. And beginning Saturday, January 26th the video can be seen on BET Soul and BET Gospel. With an up-tempo R&B melody and classic Kirk Franklin lyrics, “Love Theory” will have listeners feeling inspired and wanting to hit the dance floor.